The venerable Madison Square Garden Arena tops Pollstar’s Q1 charts with 410,207 tickets reported sold and $43.3 million grossed. In Pollstar’s annual first-quarter report, box office tallies show plenty of action for arenas, theaters and clubs around the globe as we take a moment to analyze who’s getting the most butts in seats during the early stages of 2019. 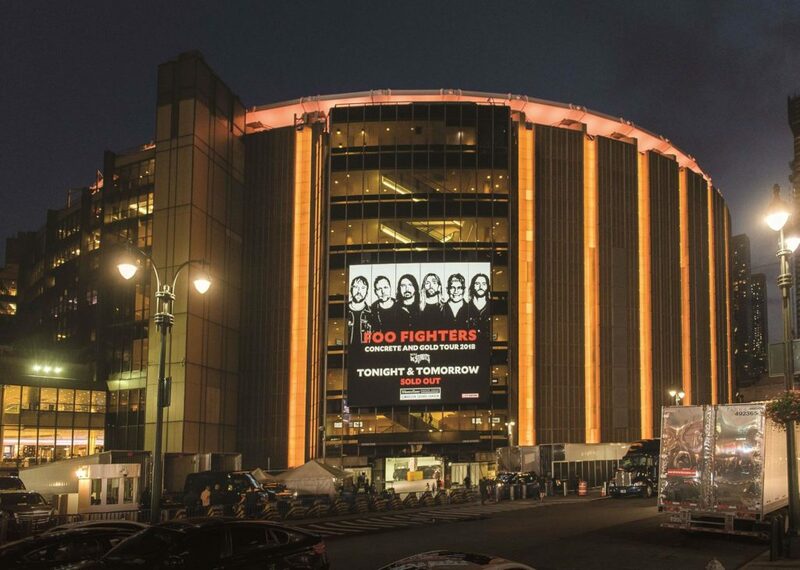 On the Worldwide Top 100 Arenas chart, New York City’s Madison Square Garden owns No. 1 based on 410,207 sold tickets during the Q1 eligibility time period (Nov. 22-Feb. 20) from 25 performances at 14 headlining events. This marks a quarterly three-peat for the Garden, which also topped the chart in the 2018 Year End as well as last fall’s Q3 recaps. Contributing 76,085 tickets to MSG’s overall Q1 tally, the jam band Phish was the top draw with its annual four-show run leading up to New Year’s Eve. Among the Top 10 arenas, six are U.S. facilities, bucking the trend in quarterly reports from the past few years. The Forum in Inglewood, Calif., is second in the Top 10 with 307,932 sold tickets from 24 performances at 18 events. Fleetwood Mac was the arena’s top draw with 42,628 tickets purchased for three shows. The remaining U.S. buildings are Capital One Arena in Washington, D.C., (252,214 tickets); Philadelphia’s Wells Fargo Center (248,412); Allstate Arena, Rosemont, Ill. (232,525), and T-Mobile Arena in Las Vegas (203,724). The SSE Hydro in Glasgow is tops among European arenas with 284,207 sold tickets at 37 shows. The Scottish venue’s largest draw was “Strictly Come Dancing Live!,” the staged production of the British televised dancing competition. Four performances of live tour played the arena with 34,543 seats sold. Manchester Arena and Birmingham’s Resorts World Arena are the other U.K. arenas in the Top 10 with 271,729 and 185,980 sold tickets, respectively, and the German venue is Lanxess Arena in Cologne with 265,103 tickets. Leading the pack among theaters is Mexico City’s Auditorio Nacional, making its 12th consecutive appearance at No. 1 after earning the top spot on the Worldwide Top 50 Theaters chart in every quarterly, Mid Year or Year End ranking since the 2016 Mid Year. The theater logged 296,866 sold tickets at 22 events with a total of 41 shows during the Q1 time period. Nine performances of “The Nutcracker” racked up the most sold seats at the venue with 54,299 tickets during the week prior to Christmas. AFAS Live in Amsterdam follows at No. 2 with the highest ticket count among European theaters. The hall moved 159,497 tickets at 37 shows. The Durham (N.C.) Performing Arts Center takes the third spot on the chart based on 139,760 sold seats during Q1, the highest among U.S. venues. The Worldwide Top 50 Clubs chart offers familiar names in the top five including House of Blues Boston at No. 1 with 79,314 tickets. Mighty Mighty Bosstones was the club’s top draw with 6,731 tickets sold at three show. Second on the chart is 9:30 Club in Washington, D.C. with 56,200 tickets, while The Paramount in Huntington, N.Y. is third with 50,039. New to the Top 5 is Glasgow’s O2 Academy with 41,741 tickets sold to earn the No. 4 ranking – a jump for the club that ranked No. 13 in the 2018 first quarter but no higher than 38 in any other quarterly report in the past two years. First Avenue in Minneapolis takes the fifth spot with 40,846.